Free US shipping for a limited time! Want to make your modified Clod scream? Pick up a pair of these sensorless 5900kv brushless 4-pole motors! 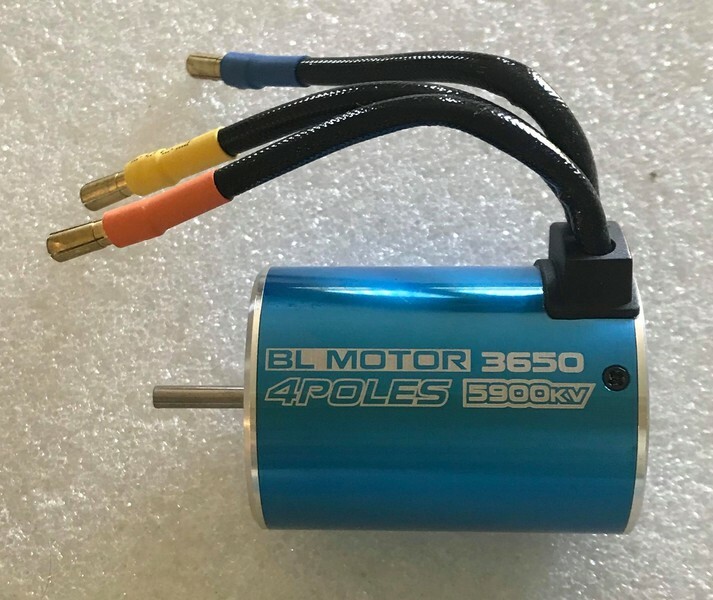 The 5900Kv motor is our choice for the best all-around 10th scale monster truck motor and the standard 36x50mm can design makes installation a breeze on your truck! These 5900Kv motors are roughly equivalent in top speed to a very good 9t or 10t brushed motor on 6 cells. Note: Each motor will require its own separate Electronic Speed Controller! 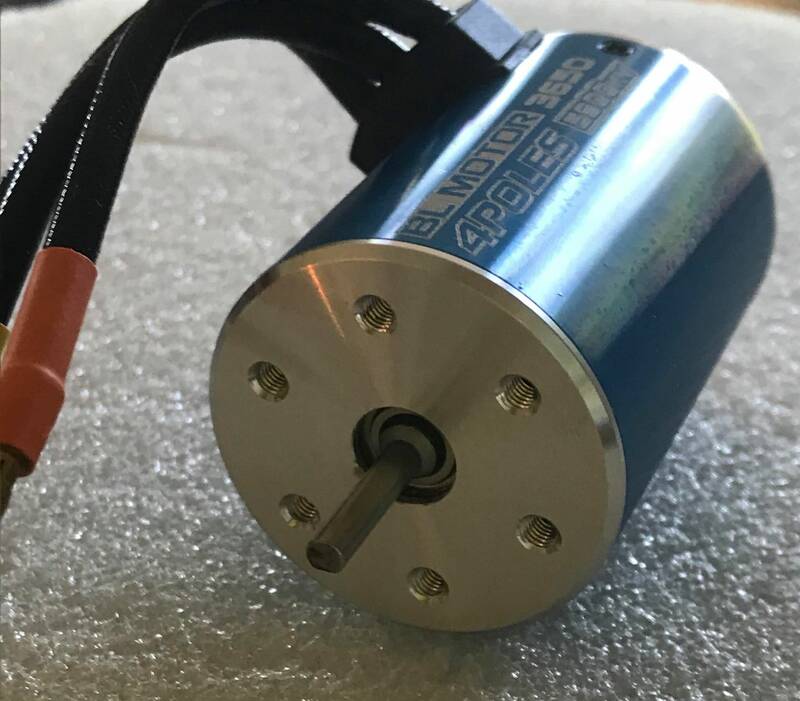 We recommend using an ESC rated at 100A or higher with these motors. Motor includes pre-installed 4mm gold-plated bullet connectors. Shipping Charges: Our standard shipping charge for this item is $5.50 for the 1st item and $2.00 for each additional item purchased. This product was added to our catalog on 09/13/2018.